Libby Giles has been active in the promotion and development of global citizenship education over the last ten years in her roles as a secondary school facilitator and teacher, project adviser for the New Zealand Centre for Global Studies (NZCGS) and as president of the New Zealand Association of Philosophy Teachers. 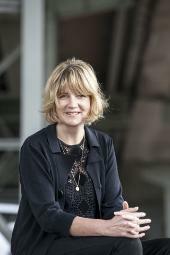 Through the NZCGS, she is involved in providing unique student conferencing programmes, academic and in the performing arts. Libby’s first collaboration with the Alliance for Responsible and Sustainable Societies was at Climate Chance a summit for cities and non-state actors, held in Nantes, 26-28 September 2016.